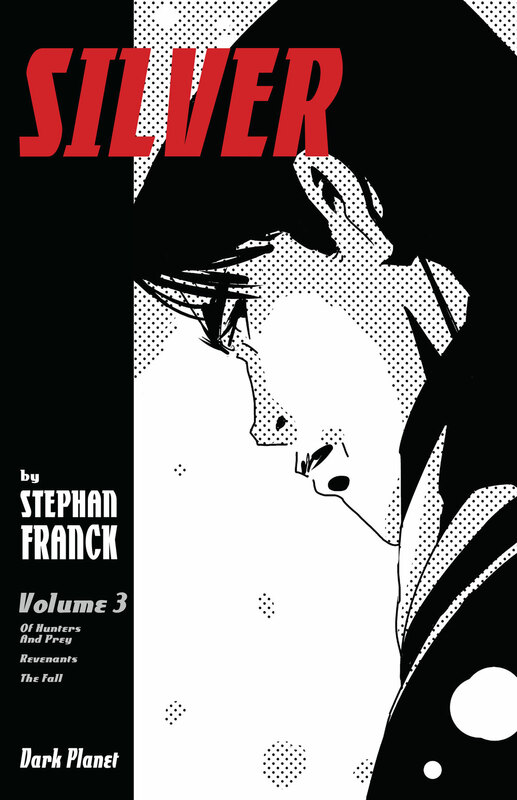 Smash Pages: For those that may not be familiar with the world you’ve created, what can you tell us about the first two volumes of Silver and the overall story? 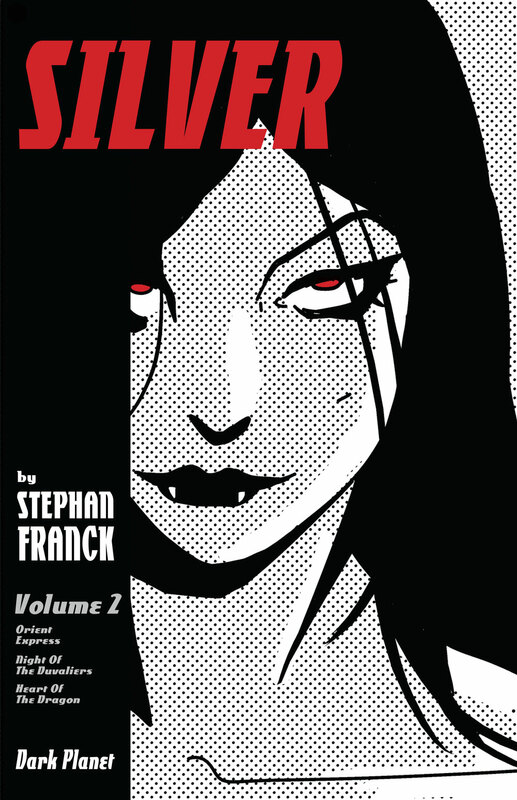 Stephan Franck: Well, Silver‘s universe is a direct extension of Bram Stoker’s Dracula. The story takes place 40 years after the events of the Stoker novel. We are in 1930’s Pulp era New York city, and we follow the adventures of James Finnigan, the most notorious con man/gentleman thief of his day. During a botched job at the mysterious Harker Foundation, Finnigan finds out about a fabulous treasure hidden for centuries inside the castle of a certain count Dracula. THAT is a job that Finnigan and his motley crew of known associates can retire on, however, it will require some different sets of skill, such as those of Rosalyn “Sledge” Van Helsing (grand-daughter of Stoker’s Van Helsing, and last of her name). Last but not least, Tao Leu, a 10 year-old with the unsettling gift of second-sight, invites himself to the party. But don’t fall for his puppy eyes, the kid might be the biggest scoundrel of them all. As the team sets sail for the old world, and boards the Orient Express, we enter the fascinating world of vampires—a complex and ruthless universe of vanity and intrigues, and we meet Dracula (in a way that I don’t want to spoil). World-building and Pulp goes on overdrive as our team infiltrates the castle—a place that Finnegan describes as “Hell on Earth, and a grifter’s paradise.” Meanwhile, as the adventure kicks into high gear, we also dive deeper and deeper into our characters’ lives and personalities, their secrets, their agendas, and a deep sense of brokenness competently hidden under a keen sense of humor. That, in a nut shell, is what happens in the first two volumes of Silver. And where do things pick up with the third volume? If the story was a roller-coaster, this is when we crest over and start barreling down. Vol 3 has scenes that I have been dying to see realized ever since I wrote the script. We see our characters under intense pressure, and being pushed to their breaking point–all in an environment where any mistake means certain death. We have a giganto action-sequence that takes us through set piece after set piece, and ends with an emotional character disclosure that will break your heart. This is also the most gothic, and vampiristic chapter yet, thanks to Dracula (in ways that I also don’t want to spoil). Not to mention, the cons keep on coming, hopefully surprising you the entire time. 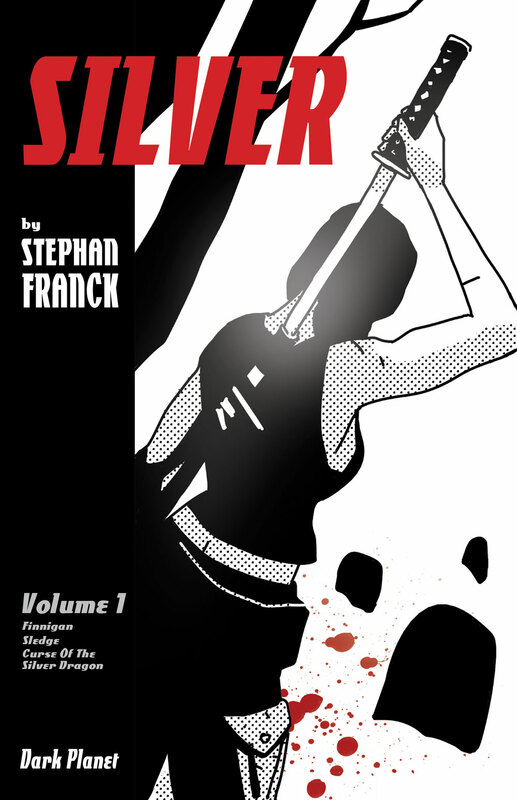 When did you first get the idea for Silver, and what made you want to pursue it as a comic series? Although animation is the kind of life-project that has consumed most of my creative journey so far, comics have always been a huge part of my life. Actually, my parents were retailers, and my love for reading and making comics started at a very early age and continues unabated to this day. And while I can safely say that a 10-year-old me was living vicariously through the adventures of Peter Parker, or looked for father figures in Superman and Batman, later on, in my college years—which were the breakthrough graphic novel years of the mid/late 80’s—comics took on a different meaning. Creators like Frank Miller, Alan Moore, Bill Sienkiewicz and others made me see that the graphic novel could combine the spectacle of cinema with the depth of literature, and elevate it all with a completely unique artistic point of view. They were things of authorship and awesomeness. So deep down, I always knew I would one day try and do one of those. The kind of 500-page saga that you can read on your couch with hot coco on a rainy Saturday, and enjoy the guilty pleasure of Pulp, while hopefully exploring some interesting corners of the human condition. So one day, a few years ago, the idea to pit conmen versus vampires presented itself–not only as something that would be filled with fun and spectacle, but something that also made great thematic sense. Starting with fairly amoral characters—who, to some degree, could be seen as ‘dead inside’—and have them confront the true undead. That seemed like an interesting way to get those characters to re-evaluate the way they have been living their own lives and what does or does not give it value. What were some of your influences, before starting it? This project is definitely born out 1930’s Pulp cinema. From monster movies, supernatural mysteries, epic adventures, and gangster stories, with a touch of screwball comedy. It’s as if the Thin Man, Cagney gangsters, King Kong, Nosferatu, Supernatural and Fu Manchu all existed inside the same meta universe—a world of mystery, all in glorious black and white, and directed by Fritz Lang. With touches of fantasy, the supernatural, monsters, the heist aspect and pulp comics, how did you attempt to balance all that into one story? For one thing, the period aspect really helps with the broad nature of the story. It’s easier to mythologize the world, and use the relative innocence of the times to make the whimsy acceptable. And as I was saying earlier, the fact that all the elements belong to 1930’s Pulp cinema makes them easily compatible. Even the contrast between the old world and the new is on theme—Dracula has always been a story that grapples with the conflict between tradition and modernity. What’s more, when I think about the secret world of vampires, I feel that what’s fun about it is not so much how weird it is, but that something so weird manages to stay hidden, sometimes in plain sight. So I really wanted a “modern world” for the “vampire world” to be hidden from. I absolutely loved having characters who think they pretty much have figured out how life works, and watch them realize that they no nothing. You’ve done two volumes of it via Kickstarter, and now you’ve returned for a third. What’s the appeal of crowdfunding? How has it helped you connect with your audience? Yes, we’ve done it twice already, and each time, it is a very intense experience. The appeal of crown funding is that it’s about independence. Not only for the creators, whom it allows to have artistic freedom, but also for the backers who are literally shaping the cultural world in which they live. It gives agency to everyone involved. By the time we did the campaign for volume 1, the first three single issues had already been out on the con circuit and Silver had started to form an early group of fans; they’re the ones who pledged immediately. Then, we started to see a new group of people just discover the project on Kickstarter, and connect with it. The deeper we got into the campaign–which was actually a very short one—the more the ratio of new readers kept growing. That’s why Kickstarter is such a great platform. It is a destination for people looking to discover exciting new stuff. For this campaign, what are some of your personal favorite rewards? And which phone cover are you using? Ha! My favorite reward might be the big enchilada, which is an original piece that I call “Silver Universe.” It’s 20×30”, and features Silver entire cast of characters, including the series deep mythology characters in a super epic set up. It has been hanging over my drawing table for about a year—dominating my entire studio, in fact—and I will definitely miss it when it’s gone. 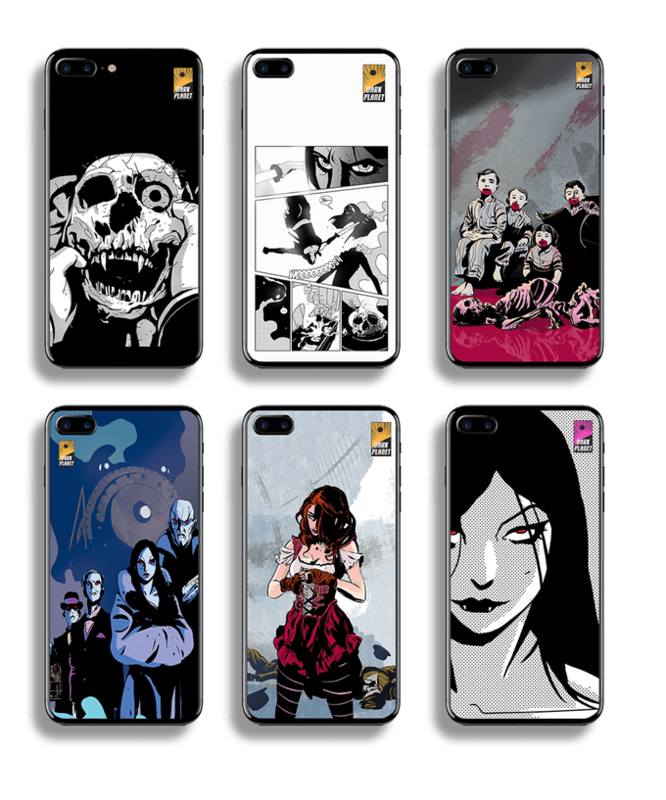 And for the phone covers, well, I have been known to rotate them, but I am partial to the one with the comic page on it. It’s always a conversation starter when you bring sequential art out into the world. Are there any teasers you can give us about the fourth volume? What I can tell you is that Vol. 4 will be epic and relentless, that the cons still keep on coming, and that you will be surprised until the very end. Some characters will find redemption, others, damnation , you will have to wait and see which ones!